c e m p r u t: and the winner is....!!! REBECCA from http://rebeccaclch.blogspot.com/ in Malang. congratulation girl, email me ur address soon dear...!!! 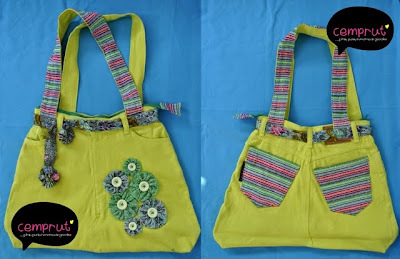 and thanks for all of u who wanna join this give away, to be my followers, and give me an awesome ideas about recycled craft. pps. i will pick another lucky ones who give me briliant idea about recycled craft, and a little surprise is waiting for one of u guys..... good nite !!! thx banget buat give away nya kak .